When the weather begins to get a bit milder in early spring make sure to do a deck check. The best time to do deck check is just before you decide to pull out the grill for the warmer months. The winter months can be tough on a deck between the snow, ice and extreme cold temperatures. Snow left on the deck all winter can eat away at the deck stain or sealer and can potentially cause deck rot issues. 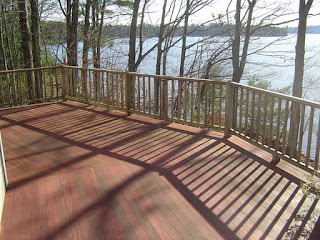 If the deck surface looks grey or there is peeling exhibited, plan to seal or stain your deck promptly, as soon as the temperatures are sufficiently warm. As part of the deck check also inspect for loose decking boards, popped deck fasteners and dry rot. Make sure to lift any flower pots or other items that may have been sitting on your deck all winter. Often deck rot starts under these items. Also check the underside of the deck, if you can get to it, to make sure the deck posts and framing look sound. Water and ice, as well as frost heaves, can potentially cause structural damage to the deck making it unsafe for use. In addition, check any deck flashing to make sure it hasn’t failed or been damaged. 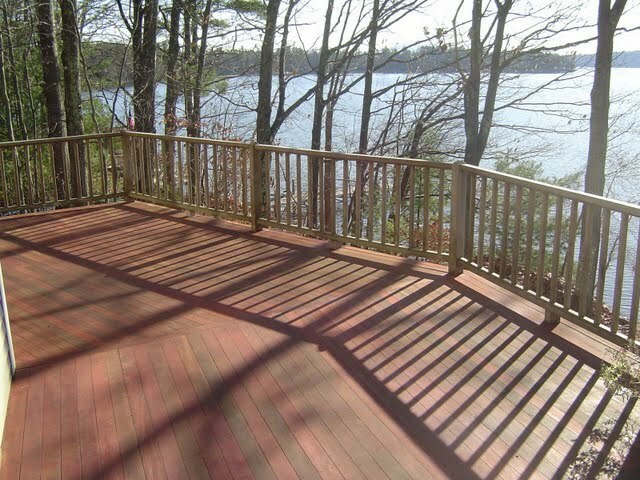 Finally, if you do need to re-stain your deck, make sure to do it under mild temperature conditions, e.g. above 50 degrees (F). Also make sure the deck has been spotlessly cleaned and repaired prior to staining. The deck should also be thoroughly dry prior to staining. If the deck surface looks dull after cleaning it apply a brightener to bring out the grain wood colors again. The latest new home construction forecasts coming out for 2012 suggest that it won’t be much better than 2011, even with 30 year fixed mortgages sub 4%. With unemployment still at very high levels, wages stagnant for those who are working, and banks still tight in lending money, it’s understandable that the future home construction market looks flat. One report suggested one of the few bright spots will be the New York City area. Not surprising, since that’s where much of the country’s wealth resides. The only positive news out of the forecasts is the fact that there is some stabilization in the housing market. Also, every politician running for president understands that the housing market is key for lifting the U.S. economy out of its funk. Hopefully the American public will figure out who’s the best man for the job in actually coming up with a real plan to fix the problem. Certainly the one in office has no clue. So for now, the residential building industry just needs to continue to wait it out and hope for some real change in November.